Joe and Margaret Finnegan have been owners/innkeepers of St. Francis Inn since 1985 - quite a record for innkeeper longevity! Their path to this destiny was a twisted one, dating back to about the time of their marriage in 1976. Like many, Joe and Margaret fell in love with St. Augustine. Joe had taught in Connecticut before earning two advanced degrees toward a career in academic administration. He became the principal at the Florida School for the Deaf and Blind, located in St. Augustine, and Margaret also chose a career as a teacher, specializing in deaf education. Joe's next position was as headmaster of the Pennsylvania School for the Deaf, but the couple kept their ties with St. Augustine and desires to return as full-time residents someday. In their travels, they enjoyed staying at bed and breakfast inns, and entertained thoughts of someday owning one themselves. Fast-forward to Thanksgiving 1984; while vacationing with friends from St. Augustine, the Finnegans learned that St. Francis Inn's owners Elizabeth and Charles Davis would soon be putting the Inn on the market. Joe recalled that his parents had been guests there about a decade earlier. The Inn had a long history, built as a private home in 1791 and first run as a lodging establishment in 1845. 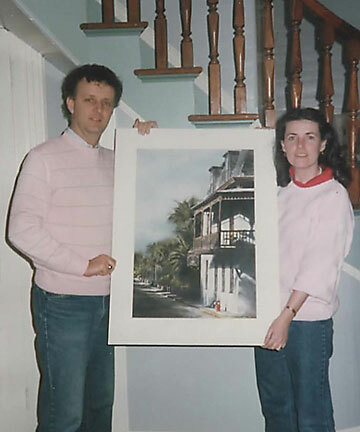 Joe and Margaret felt that the Inn could be the vehicle to eventually get them back to St. Augustine, and in June 1985 they became the new owners of the oldest inn in St. Augustine, St. Francis Inn. Joe's exposure to the importance of customer service had been honed at an early age, while working in his father's grocery store. Budgeting, marketing, management, administration and other business functions were vital components of his position as headmaster. For exposure to specific innkeeper skills, Joe and Margaret enrolled in highly regarded Innkeeper seminars by Bill Oates, referred to in the industry as the "Guru of the Inn Business." In 1996, Joe resigned his president's position in South Carolina and returned to St. Augustine. The family relocated to the house next door to the Inn as their full-time residence. 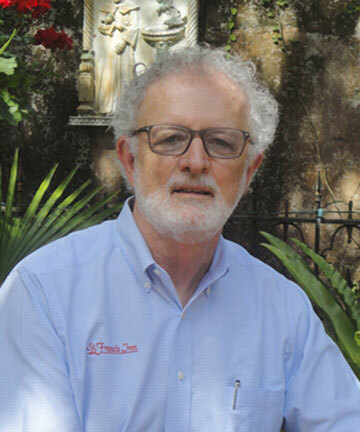 Joe became a consultant to educational administrators of schools and programs for the deaf, and this more flexible schedule allowed him to finally become active as owner/innkeeper of St. Francis Inn. The Inn was closed to guests for four months in order to make major renovations, including new wiring, added private bathrooms, central air conditioning, new flooring, a kitchen, and reconfigured rooms. The Inn reopened with 17 rooms and suites, each with private bath. Young son Patrick eventually became involved in the business, starting out at age 8 as a dishwasher, working under the wings of Margaret's sister Terry in food prep at the Inn, and filling various roles during the next few years. Patrick's experience at the Inn influenced his eventual path to a career in the hospitality business. 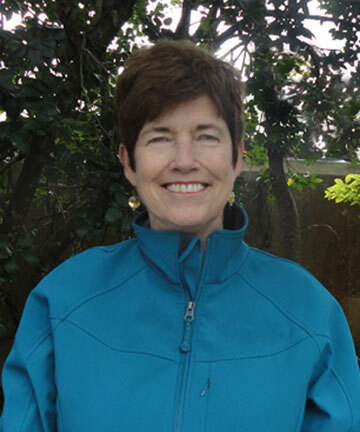 Margaret is Joe's constant sounding board with Inn decisions, and active in the Inn's decor and menus, now retired from her career as Professor and Deaf Education Coordinator at Flagler College. Joe serves as Executive Director of CEASD (Conference of Educational Administrators of Schools & Programs for the Deaf) and travels extensively; the couple still enjoys being bed and breakfast guests in their travels. The Finnegan's attribute their combined careers of innkeepers and jobs outside the Inn with eliminating the "burn-out" that most 24/7 innkeepers experience. Their dual careers have also allowed them to establish and maintain a large staff to assist in their role as innkeepers. Joe and Margaret are thrilled and deservedly proud to have their grown children in the hospitality industry, with Elizabeth working with them occasionally at St. Francis Inn and Patrick continuing to advance his hospitality career in Aspen, Colorado. St. Francis Inn has been honored with many accolades and awards under the Finnegan's stewardship, including being named the sole "Where to Stay" accommodation in St. Augustine by National Geographic Traveler in their pick of "Best of the World 2013," chosen as a Select Registry Distinguished Inn of North America, and designated a Green Lodging facility by the Florida Department of Environmental Protection. Both St. Francis Inn and its sister B&B Casa de Suenos have earned the distinction of being "Select Registry" properties. One of Joe's initial challenges as an innkeeper was recruiting and keeping good staff. Today he prides himself on setting high standards for Inn employees, while hiring, supervising and training them. The outstanding staff is one of the major assets and one of the most frequent compliments from guests at St. Francis Inn.